Psst! People still buy VHS tapes?! It’s obvious that I enjoy little more than buying stuff for next to nothing and selling it to a broader audience for some nice pocket change. One of my new favorite blogs that I stumbled across last week is written by a guy who sells his thrift store treasures on eBay to help fund his Roth IRA: Flipping a Dollar. While perusing his blog, it got me thinking about stuff that I usually pass on looking at when I’m in a thrift store because I assume it won’t sell and, therefore, isn’t worth my time. Like that super soaker he made $65 on?! I would have walked past that without a second look. So last week, during a thrift store adventure, I decided to stop by the VHS tapes. Yes – VHS. There are always loads upon loads of VHS tapes at thrift stores. And for good reason! NOBODY watches VHS tapes anymore, right? RIGHT! However…having been to film school, I know that there are tens of thousands of features which never made it to DVD distribution and can only be found on VHS. Most of these features have no business being on DVD anyway as nobody would watch them. But there are gems – insanely bad horror movies, 70s kung fu movies, low budget action movies, and quirky melodramas – that have a cult following small enough to prevent DVD distribution but large enough to return a nice eBay profit! A quick online search leads to film geek forums and obscure media uploads that prove that a quick buck may be had for plenty of VHS tapes. That’s right – it’s a bowhunting deer video with a bit of twang. It’s marked EXPLICIT and entitled “They’re Goin’ Down”. A quick glance at the back of it revealed that it was independently produced by the guy who stars in the video, distributed by some small town in Michigan. Even better, it looks to be in great condition! So I paid 89 cents for it and immediately listed it on eBay for a short auction. I kept the starting bid low – 99 cents. Within a day, 4 people were watching it and 2 people had sent me questions about it. 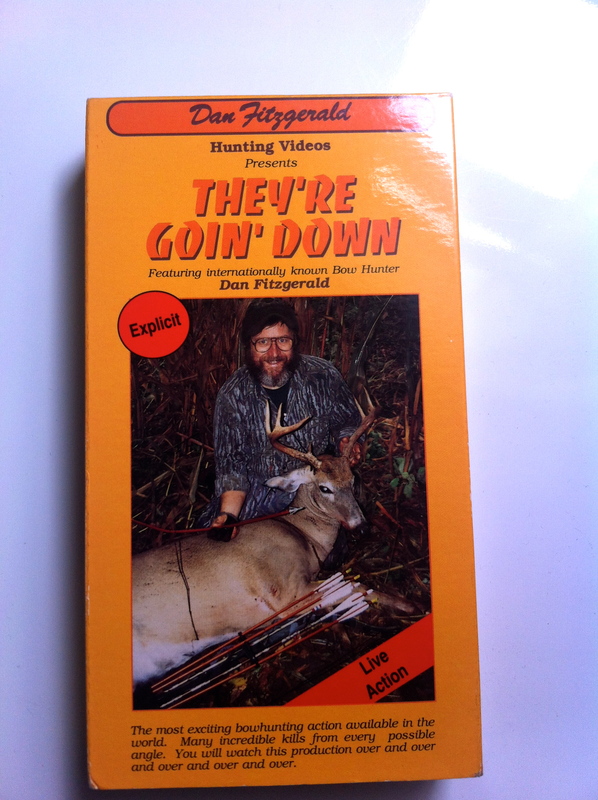 One guy wanted to know if I had any other hunting videos as he already owned this one…. By the final third day of auction, 8 people were watching it and there was an all out bidding war which climbed the price to $27 + $2.76 shipping/handling. Normally, that’s not a profit to hoot & holler over. But let’s remember that this was a VHS TAPE!!! Also, I’m very aware that I have stolen the other blogger’s outcome tracking idea with my little red and green profit/loss summary, but it just works so well. So there you have it, I’ll be glancing at the VHS tapes a little more carefully the next time I’m in a thrift store. 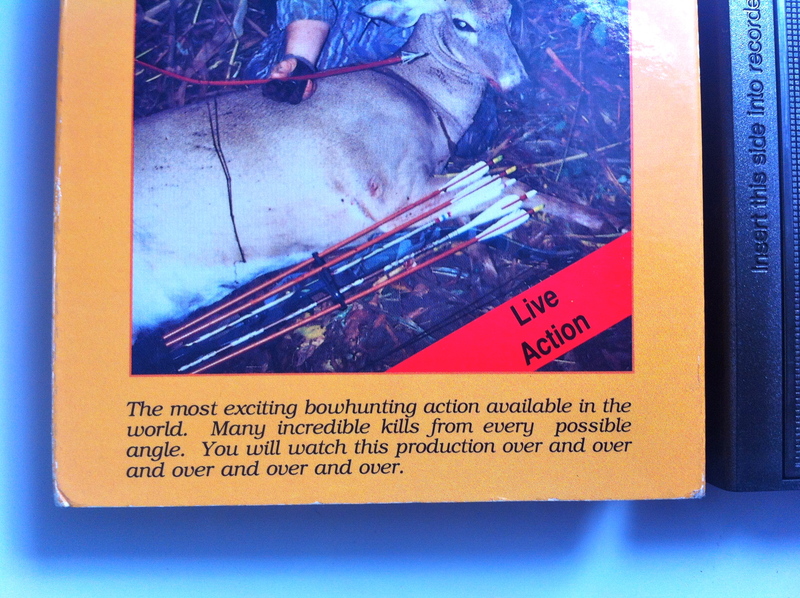 This entry was posted in Resale and tagged blog, ebay, flipping a dollar, profit, resale, vhs tapes by Kate. Bookmark the permalink. That VHS tape is awesome and it went for a great profit! Glad you like the blog, and I really like your plan of attack. Going through the jumble of VHS tapes first and taking out some that may be good is a better idea than looking up each individually. Definitely a time saver!